The Cass County Sheriff’s Department is investigating a fatal crash that occurred on Friday night in Porter Township. It was reported just before 10:30 at Sunset Boulevard near South Beechwood Street. 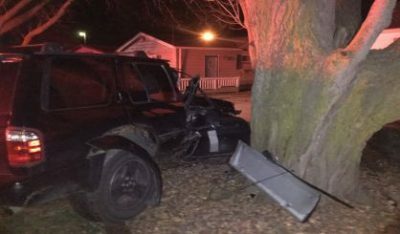 Sheriff’s deputies tell us 39-year-old Travis Lee Schlabach of Elkhart was southbound on Sunset when he lost control of his vehicle. It left the road and crashed into a tree. Schlabach was killed. Police say it appears speed was a factor in the crash, and Schlabach was not wearing a seat belt. The crash remains under investigation.